Here's some good news for B.Sc., graduates as Osmania University in collaboration with Wipro Technologies is providing exciting job opportunities for more than 4,000 graduates of 2010 batch. Informing this to presspersons here on Monday, OU Vice-Chancellor T. Tirupati Rao said the Wipro Academy of Software Excellence (WASE) programme is based on the theme “earn while you learn.” This programme will provide job opportunities to students. They can also pursue MS degree from BITS - Pilani simultaneously while doing their job. Students registered will be selected based on written test followed by an interview. Mr. Rao said the company has also come forward to conduct road shows for students pursuing B.Sc., in university constituent and affiliated colleges to educate them about the programme. The company is planning to conduct two or three road shows accommodating 1,000 students in each programme. The first programme will be held on March 21 at University College for Women in Koti. Similar events will be organised on March 28 and April 4 based on the response from students. Students enrolling for WASE programme must fulfil the following criteria: B.Sc., (CS/ IT/Electronics/Physics/Maths/Statistics/BCA/BCM) with 60 per cent pass percentage in tenth class, Intermediate and graduation. Maths as a subject in Intermediate is mandatory. Students can also apply on http://careers.wipro.com/wase. If candidates are selected, then stipend will be paid to them and on successful completion of the course, M.S. Degree will be given from BITS-Pilani. 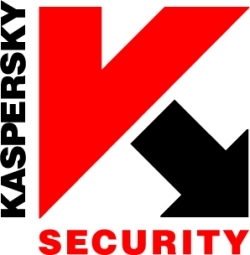 Russian anti-virus software and internet security solutions player Kaspersky Labs is planning to make Hyderabad the hub of its Indian operations with plans to pump in nearly $2 million this year in setting up a team of nearly 20 people this year and ramping it up to over 150 by next year. Kaspersky, which set up a small office here earlier this year, is now mulling over plans to set up a virus lab, local R&D facilities as well as a call centre in the city, Kaspersky Labs Asia MD Harry Cheung said here on Tuesday. Cheung said that though currently Kaspersky was operating in India through two distributors, the city-based Zoom Technologies and Pune-based Sakri IT Solutions, in the long run it would like to take on the Indian market on its own. The company is also planning to set up a nearly 100-people strong call centre here to cater to the Asia markets. Our main focus is on the consumer market and we are targeting nearly 2 million internet users this year with our anti-virus products and hope to increase this to 5 million users next year, said Cheung, explaining that the company was all set to unveil its low-cost anti-virus software KAV (Kaspersky Anti-Virus) in India next month in the sub-Rs 500 price bracket.